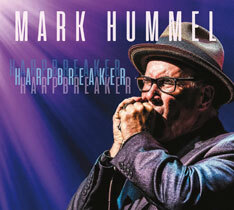 Grammy and BMA nominated Electro-Fi Artists MARK HUMMEL and JAMES HARMAN both toured Europe this Fall in support of their new releases “Harpbreaker” from Mark and “fineprint” from James. Mark spent 5 weeks in the Netherlands, Scandinavia and Russia backed by several top European Blues bands, James played several SRO gigs in Belgium with Shakedown Tim and his band. James was also busy stateside performing at the San Diego Bluesfest, the Riverside West Coast Blues Festival as well as opening for Mavis Staples at the Ford Theatre in Los Angeles and Z.Z. 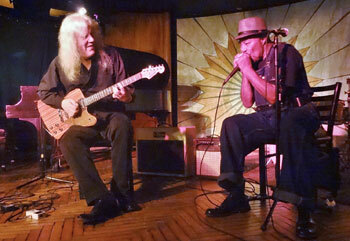 TOP’S BILLY GIBBONS at the legendary Troubadour Club in L.A. James plays harmonica on several tracks on Billy’s new album “Big Bad Blues”. 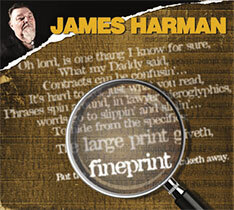 James Harman's Electro-Fi release "fineprint" was just listed as one of the best albums of 2018. Mark and James will be performing together this January in the 2019 edition of Mark’s Blues Harmonica Blowout. 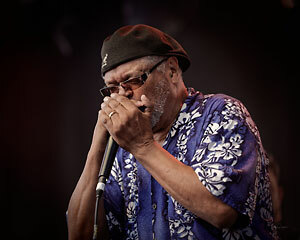 Joining Mark and James on “Southern Blues Harp Blowout” will be fellow Blues legends BOBBY RUSH, KENNY NEAL, and JOHNNY SANSONE, with the Golden State Lone Star Blues Revue featuring ANSON FUNDERBURGH. Check out West Coast Tour Dates at www.markhummel.com for this can’t miss event. “Number 1 on my 2018 Top Ten List, out of the hundreds of CD’s I reviewed and listened to.” - Malcolm Kennedy, Washington Blues Society. “Amazing Stuff, this is an album of Brilliant Blues Harmonica playing.” - Blues Matters, U.K.
Andrew Galloway and Gary Collver of Electro-Fi Records are pleased to announce The impending 2019 release of “Good As Your Last Dollar” from “Keeping The Blues Alive Award winner” Fruteland Jackson. 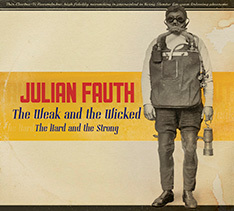 The album was recorded in October at Lincoln County Social Club Studio in Toronto, Produced by ALEC FRASER (Jeff Healey Band) and featuring Special Guests, JUNO AWARD Winners HARRISON KENNEDY, JACK DE KEYZER and JULIAN FAUTH. This is Fruteland’s 4th album for Electro-Fi and the first in ten years. Lovers of acoustic Blues will feel it’s well worth the wait, for this collection of originals and classics from a performer who was a protege of, and who toured extensively with Blues Legends Honeyboy Edwards, Johnny Shines, Henry Townsend and Jimmie Lee Robinson. Fruteland Jackson is also considered one of the 50 essential Delta Blues Artists of all time by France’s prestigious SOUL BAG magazine. Shakura split the Summer of 2018 between the stage and the studio, as work continues on her new album, the eagerly awaited follow up to her Electro-Fi debut set “Time”. Joining Shakura for sessions at Canterbury Music Company, have been top notch talent, like a ace guitarist and long time collaborater DONNA GRANTIS (Prince), keyboard wizard LANCE ANDERSON, BROOKE BLACKBURN and sacred steel sensation CHUCK CAMPBELL. 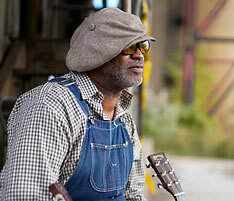 Shakura and KEB MO have also collaborated on a track for the album. The co-write was recently recorded in Nashville and produced by Keb. Look for a release on Electro-Fi later in 2019. 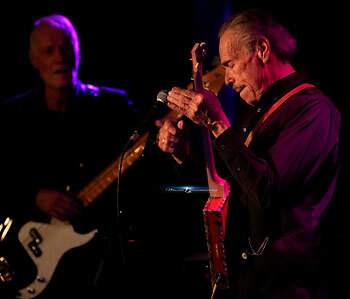 Toronto Blues Society at Roy Thompson Hall, Toronto on November 16th. Harrison and keyboard ace JESSE O’BRIEN, the team behind Harrison’s 2015 JUNO winning album “This Is From Here” are now busy writing and preparing material for a new album together. 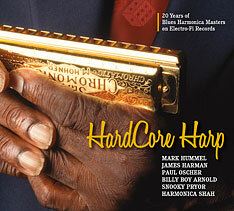 “Harrison Kennedy is a Modern Blues Master of True Substance” - Living Blues. Wonderful late breaking news from the Blackburn Brothers, who have been hard at work in the studio on their new album, the eagerly awaited follow up to their 2015 JUNO nominated release “Brothers In This World”. 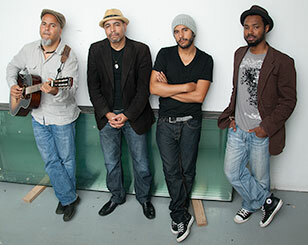 DUANE, BROOKE, CORY and ROBERT have cooked up a scintillating batch of funky, simmering soulful blues originals and a few select covers, as only they can do. The guys are now in the process of adding the finishing touches. Watch for a late Spring 2019 release and a busy Summer of 2019 Touring North American Festivals in support of the new disc. Plans are under way to release a Vinyl album “MEL BROWN: The Best of the Electro-Fi Years in October, 2019 to celebrate what would have been the 80th birthday of the W.C. Handy award winning guitarist. The album will be produced for re-issue by Alec Fraser and Andrew Galloway who produced the original recordings. 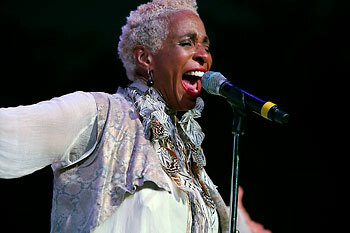 “Mel Brown was Funky, Primeval and Perfect” - ROLLING STONE. Saving some of the best news for last. Morgan Davis’ current Electro-Fi release “Home Away From Home” has just been selected by DOWNBEAT magazine as one of the BEST ALBUMS OF 2018 and is listed as such in the January 2019 Issue of the magazine. Well done Morgan! Morgan Davis is on a one man mission to keep the Blues alive. The JUNO winning road warrior spent a huge chunk of 2018 out on the road in support of his recent release “ Home Away From Home” Touring right across Europe as well as from Alberta to Newfoundland. Don’t miss Morgan when he comes to your town. 2018 was another wild ride through the on going adventures of running a Blues music label in the 21st century, the old models on which the industry was based are now obsolete, and they have yet to be replaced here in the digital age by anything that compensates artists, labels and distributors fairly for the music they create and release. Though we’ve come out of 2018 with our heads somehow slightly above water and remain dedicated to the music that we love, none of that would have been even remotely possible without the strong support of our many friends in Blues radio and print media worldwide, our physical and digital distributors, the Blues societies, and most important the wonderful people who still come out to the shows to support the artists and who buy their fine music, either in person or online with their hard earned money. We thank you. On behalf of both the fine family of Electro-Fi Artists and ourselves, we wish you and your Family a Happy and Joyous Holiday Season and a Peaceful and Prosperous New Year. Our music is available on Amazon.com, iTunes, at finer record stores worldwide and direct from this site. Like us on Facebook.